We’ve known for a while that Pokemon Let’s Go Pikachu and Pokemon Let’s Go Eevee would see the debut of a new Pokemon, but since the first appearance of Meltan in Pokemon Go a few weeks ago new information has been coming thick and fast. The Pokemon Company has just released a new video showcasing in-universe findings of Pokemon Professors Oak and Willow, who have both been closely studying this new Mythical Pokemon. Their findings reveal a little about it, including how to catch Meltan in Pokemon Go on mobile and how it can then be transferred in order to then catch Meltan in Pokemon Let’s Go Pikachu and Eevee games on Nintendo Switch. The investigation is still ongoing, but the long and the short of it is this: Professor Oak has discovered a mysterious Metal Box that is made up of the same materials as Meltan itself – being that it is a Steel-type Pokemon that has liquid metal as a large part of its body. It’s clear that this mysterious box is going to have a major impact on your ability to catch it. 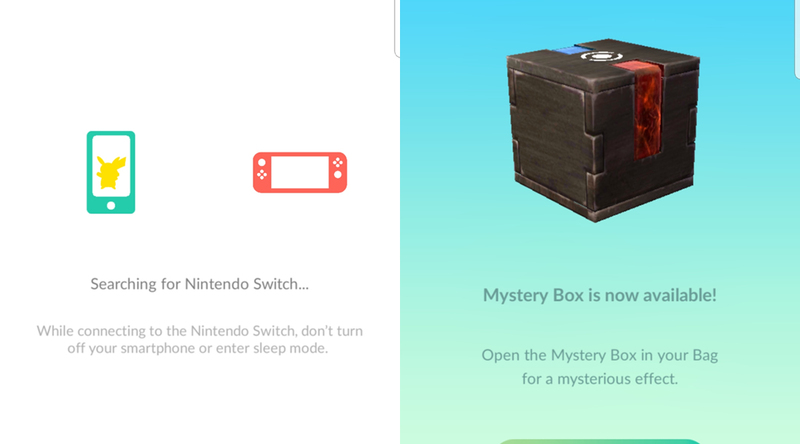 It’s all about cross-game synergy, you see: players will be rewarded with a Mysterious Box the first time they transfer a Pokemon from Pokemon Go to Pokemon Let’s Go. Subsequent transfers will get more standard rewards like Pokemon Candy, but the first time you transfer the Mystery Box is your in-game reward. Opening the Mystery Box in Pokemon Go will then allow Meltan to appear for real in the game for a limited thirty minute period. These are real Meltan – not those Ditto-like appearances from earlier – and players can catch as many as spawn around them during the thirty-minute period after opening the Mystery Box. Here’s the good news – once you’ve retrieved the mystery box, it’s yours forever. It’ll remain closed for a week once opened, however, so you’ll have to wait before opening it again. In essence, you get one week of Meltan catching time per week – and that’s a challenge, given how much candy you’re going to need for the creature. In order to evolve Meltan to its much less cute, bruising-looking larger evolution, you’ll need to do it in Pokemon Go: Meltan can’t evolve in Pokemon Let’s Go, only over in Go on mobile. To make it evolve you’ll need to spend a huge 400 candy – so you’re going to want to catch many, many Meltan, preferably using Pinap berries. Walking around with Meltan as your buddy Pokemon will help, too. Once evolved, you can send Melmetal back to Let’s Go to complete that Pokedex if you want – but remember, it’s a one-way, one-time deal. In addition to all this, there’ll also be a new series of Pokemon Go special research missions added to the game centered around the mystery of Meltan. This’ll be added atop the existing Mew and Celebi ‘A Ripple in Time’ quests. It all seems a little complex, but The Pokemon Company and Niantic are clearly working hard to ensure players who are deeply involved in both Pokemon Go and Pokemon Let’s Go are rewarded with access to this new Mythical Pokemon. We don’t yet know how good or useful Meltan will be, but The Pokemon Company appears to be teasing that there’s more to this little hex nut Pokemon than meets the eye. Generally speaking, Mythical Pokemon always chart well on our Pokemon Go Tier List of the best Pokemon – so we have high hopes. The post Pokemon Go: how to catch Meltan and use the mystery box appeared first on VG247.